Discover how to go from 0 to over 1000+ New, Active, Engaging, Niche Targeted Followers a week leveraging Instagram’s Algorithm. I've heard enough.. Start Growing My Instagram! We will engage with high profile accounts in your niche. That means liking, commenting, following and direct messaging will be done by us 24/7, even when you sleep. Do you also want to receive Rounds drops in this plan? Then sign up for at least the Entrepreneur plan and get extra attention from other accounts within our network groups, improving your natural engagement. That is still not enough for you? Then get started on our Premium Instagram Growth service plans. Our Smart Investor plan helps you to improve your Virality Chances by adding our prestigious Powerlikes to help boost your pictures straight into Instagram’s Explore page. Or take your game to a whole new level by choosing our CEO plan and also receive Powercomments and the possibility to outsource your posting to us. We will take care of the content gathering (if chosen for) or post your personal content on your behalf! Sign up for our Shy Start up Growth Trial today and stop trading valuable time for Instagram Growth. You are just starting out to grow your Instagram Account? You are interested in receiving an Engagement boost as well? Get started and boost growth & engagement. You want to receive Special Powerlikes? Start with this plan today and improve your virality chances bigtime. You want to outsource your posting to us? Go for the Premium CEO and let us take care of content gathering. 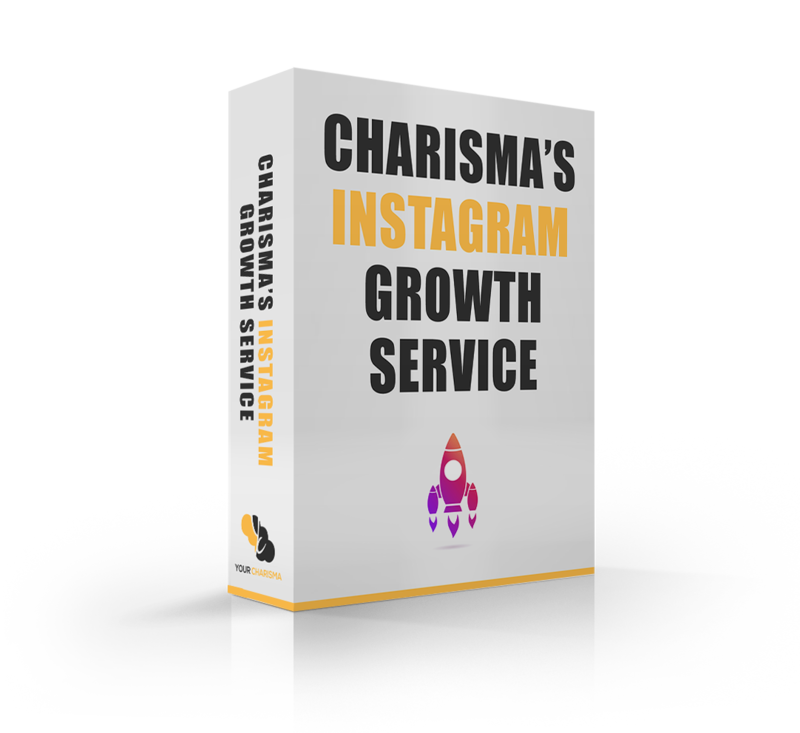 We understand and have therefore prepared a short video for you, where we explain the basics of the Charisma Instagram Growth Service. Why use a Social Media Strategy? 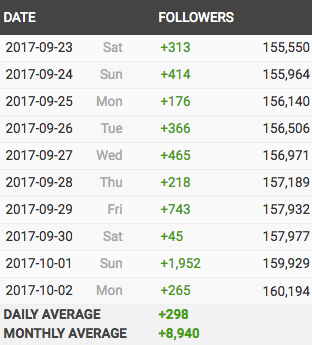 Why build a massive followerbase? Used correctly, Instagram has the potential to be a highly-targeted, visual advertising channel for your brand and products. In fact, in a recent study, it was discovered that Instagram provides brands with 25% more engagement over other social platforms. This means, that Instagram is a prime channel to build your brand for your ecommerce business. A process of rapid experimentation across marketing channels to identify the most effective, efficient ways to grow a business. The main focus lays on building and engaging the user base of your account. Simply put, we help smaller businesses, as well as public figures, to grow their Instagram accounts by targeting very niche specific consumers or fans. Given the opportunity, our team will work for you to help you grow all day, every day. We do not sell fake followers or likes. We provide organic growth by engaging with your perfect target audience. Our team drops your account in different Network groups which vary each day to get your page maximum exposure. These groups contain Models, Fitness-guru’s, Personal pages, Instagram influencers, brands and business owners. All the likes generated are from real accounts. Our policy lasts 30 days for physical products. If 30 days have gone by since your purchase, unfortunately we can’t offer you a refund or exchange. For service packages that were purchased, we offer a 7 day refund policy from the moment your payment was done. Within 7 days after purchase we will be happy to refund you. If 7 days have gone by since your purchase, unfortunately we can’t offer you a refund or exchange as a fair amount of time and growth has already been delivered to your account. Also, whenever the recurring payments are not canceled before the new recurring dates, you have 7 days to ask for a refund of that particular transaction. Again, if 7 days have gone by since your transaction, unfortunately we can’t offer you a refund or exchange. If you are not thrilled with the product or are not enjoying the experience, then we have no interest in forcing you to stay an unhappy member. The password is required to establish a connection with Instagram. We will also add your account into our engagement groups. Your account will engage with other High quality accounts like yourself. This is how our engagement network is created. We already use a Growth service, why is yours different? The difference between us and other providers is that our special Growth team takes care of the targeting and we help improve engagement and natural reach with our likes also. Over the years we’ve split tested all variables there are and managed to find the most Effective growth tactics and combined them into one growth Service. 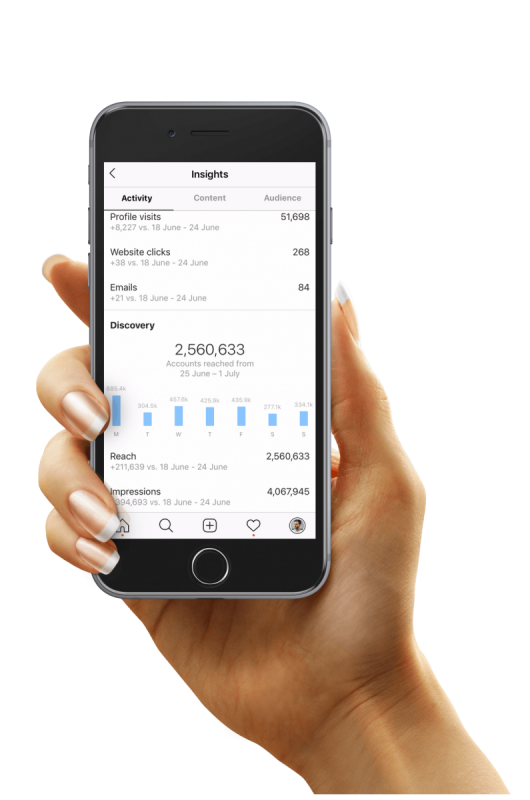 On top of that we have Instagram professionals taking care of your account, managing the tweaks, split testing the target audience and leveraging the Algorithm to get your account maximum growth.